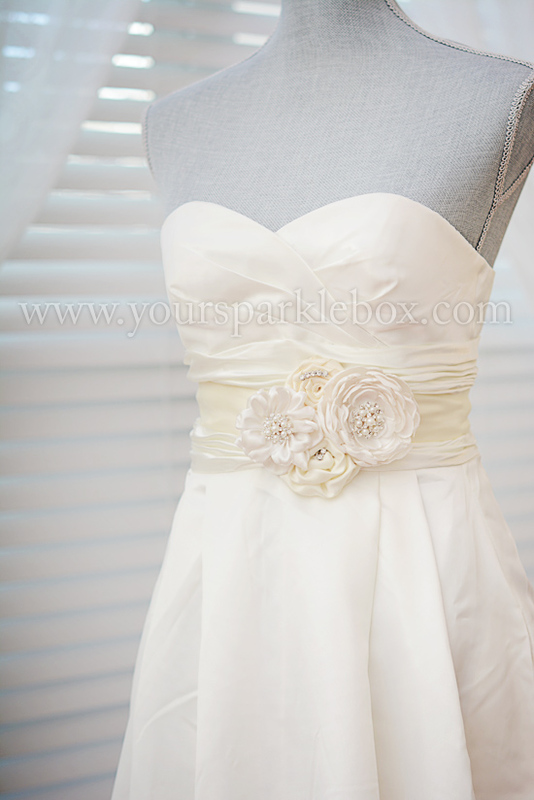 This sweet, simple and chic sash was created for one of my brides to accentuate the waist of her stunning gown. It would be my pleasure to design a one of a kind sash for your bridal gown, or your entire wedding party. As every sash is custom made by the designer, you can be confident to leave the details in my hands and be sure you will wow all of your guests in these stunning, one of a kind sashes. This listing is for a simple sash, in your choice of colors. If you would like a more elaborate piece, contact me and I can create one just for you. All sashes are handmade and will vary based on your desired colors and design and availability of brooches. If you would like a sash to match one of my flower girl dresses, I would be more than happy to create one for you.